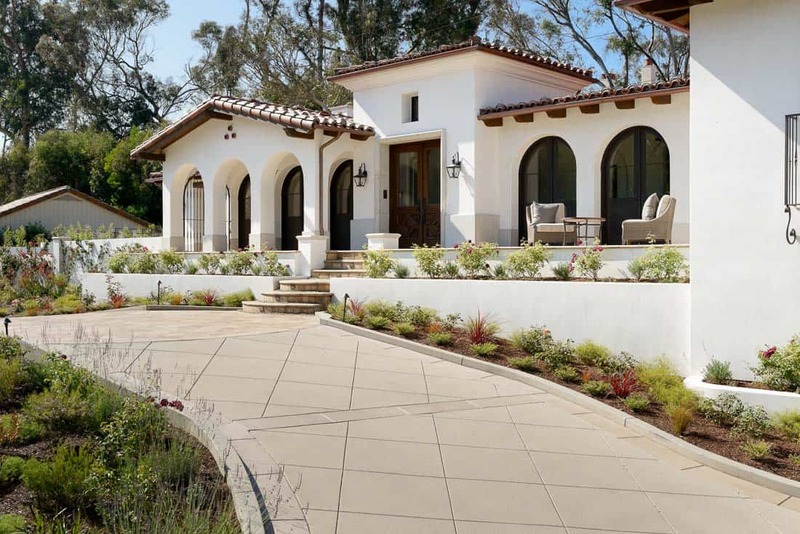 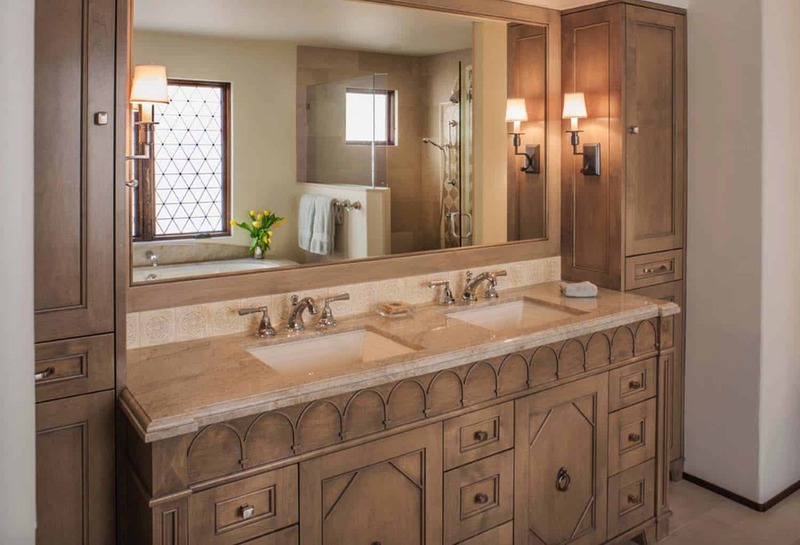 This mediterranean style home was designed by Tomaro Design Group in collaboration with Norman Design Group, located in the Palos Verdes Estates, a city in Los Angeles County, California. 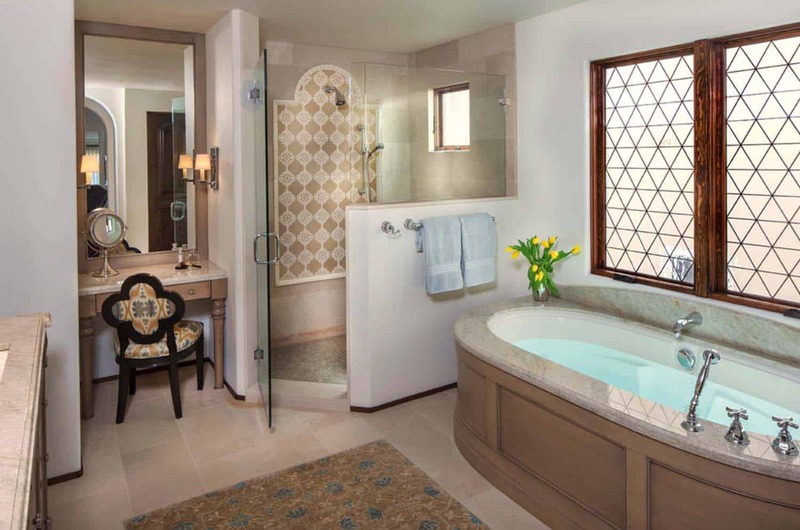 This fabulous home encompasses 4,804 square feet of living space, with four bedrooms and four-and-a-half bathrooms. 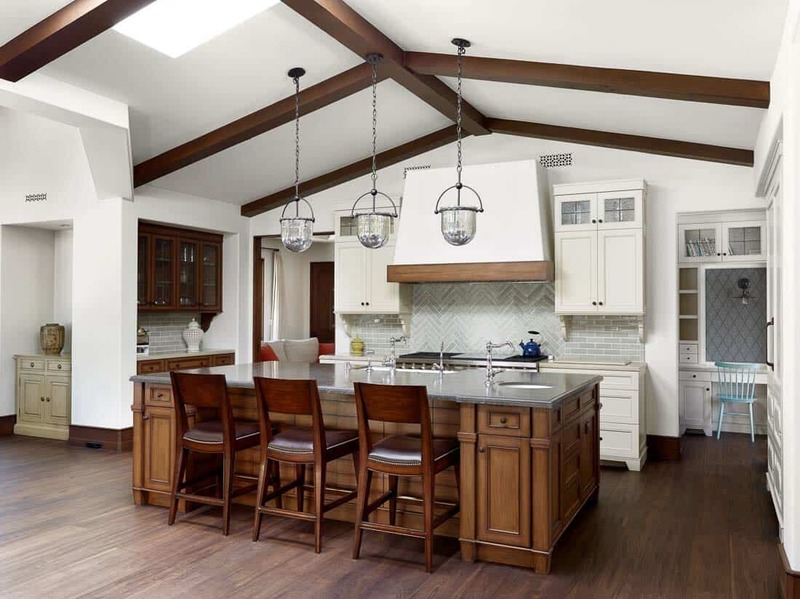 Above: This stunning kitchen features white cabinets complimented by a wood island and a vaulted, wood beamed ceiling. 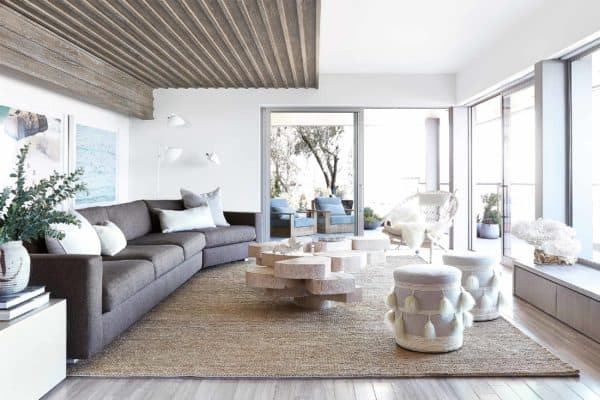 A trio of glass pendant lights are suspended over the island. 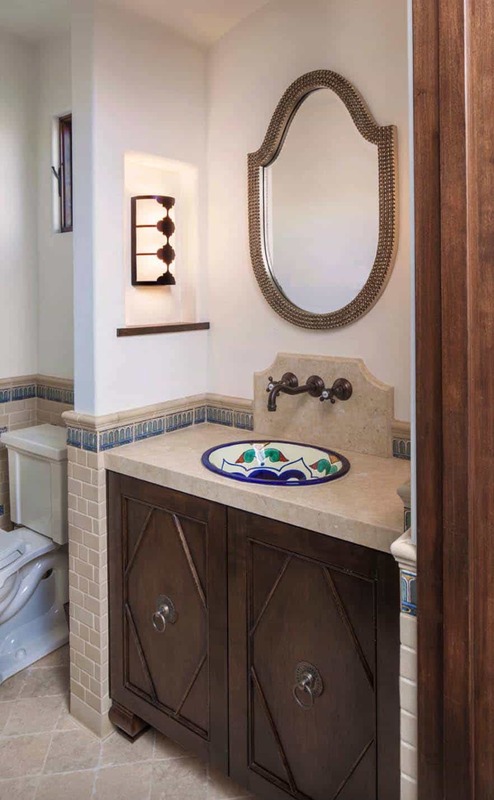 The backsplash features a chevron tile pattern underneath the hood, while subway tiles flank either side. 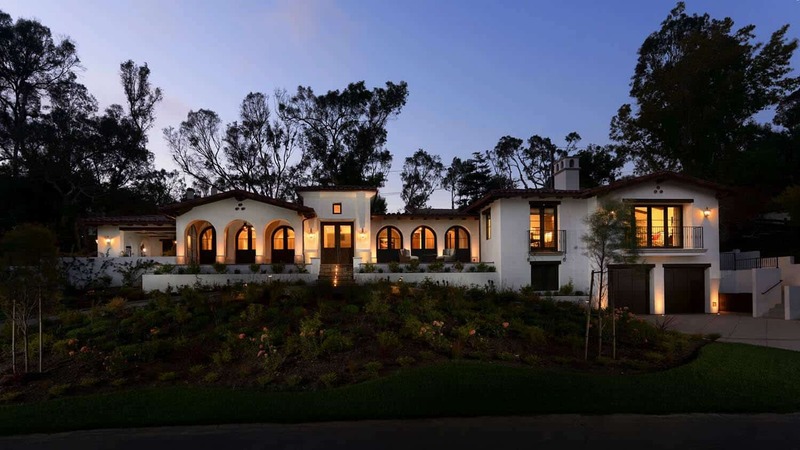 What We Love: This stunning Spanish coastal style home offers a warm and sophisticated palette that is so livable. 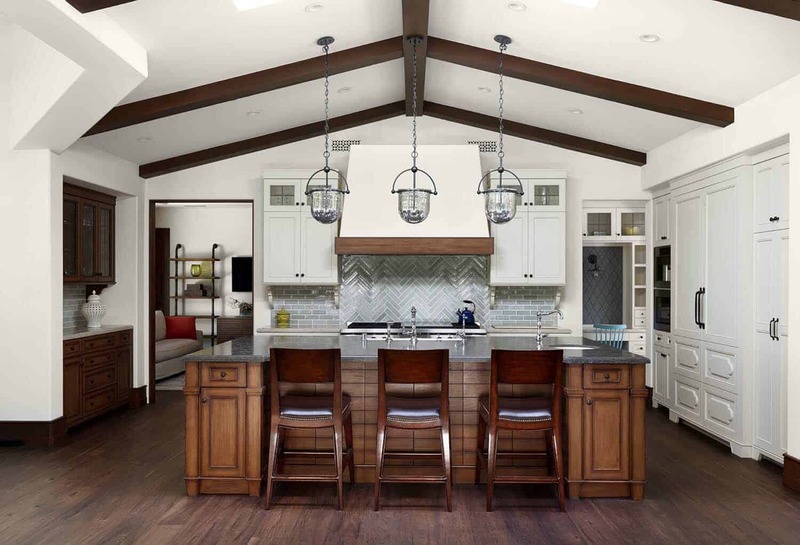 We are loving the kitchen with its mix of finishes and vaulted ceilings complimented by wood beams. 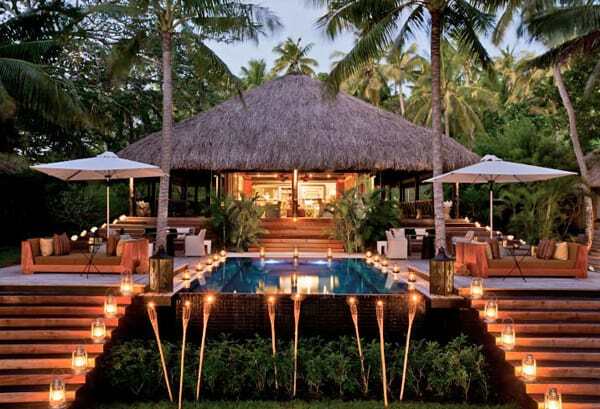 The expansive island is perfect for entertaining, as is the incredible outdoor living spaces! 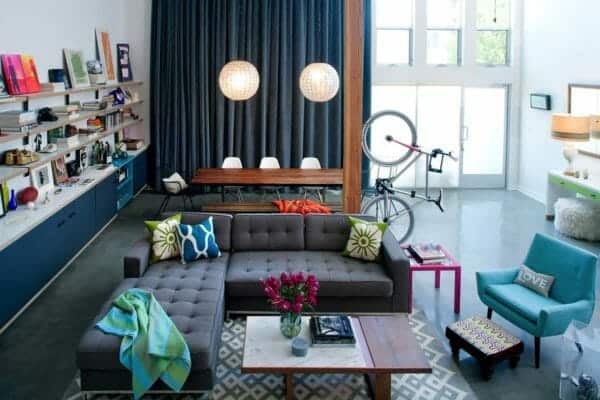 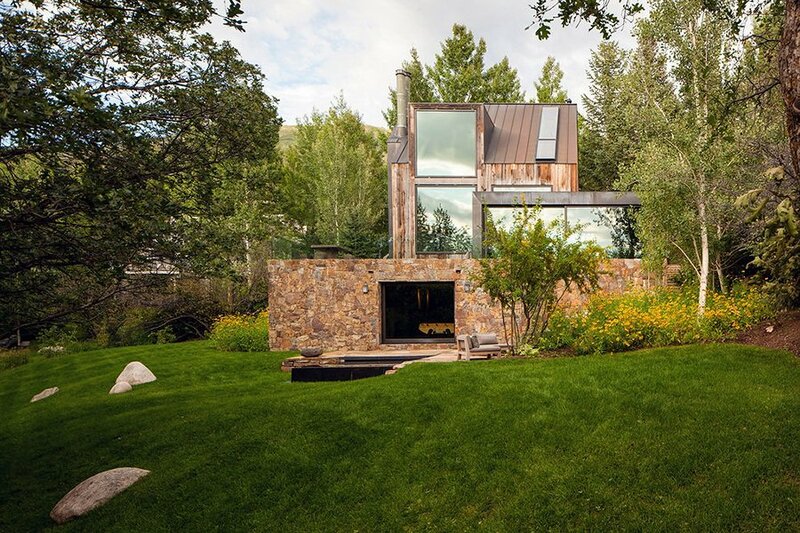 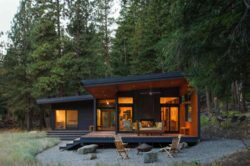 We are loving this house, how about you? 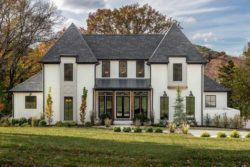 Please share with us what details in this home caught your eye and why in the Comments below! 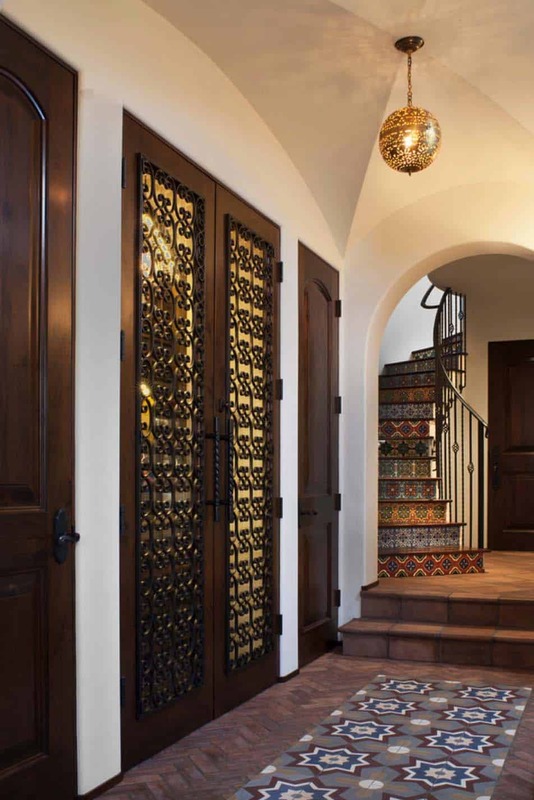 Note: Have a look below for the “Related” tags for some other amazing ideas for Spanish style homes that we have featured here on One Kindesign! 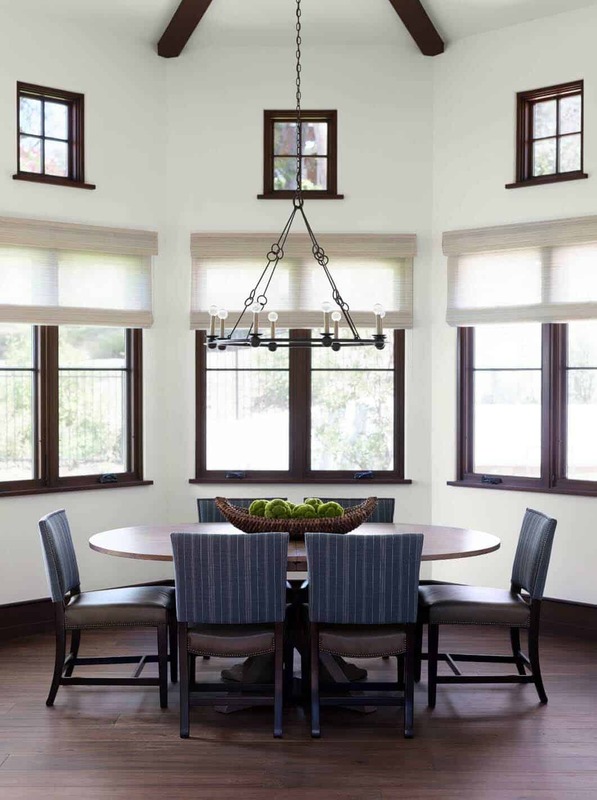 Above: In the dining room, the combo of leather and fabric covers the dining chairs, set around a circular wood table. 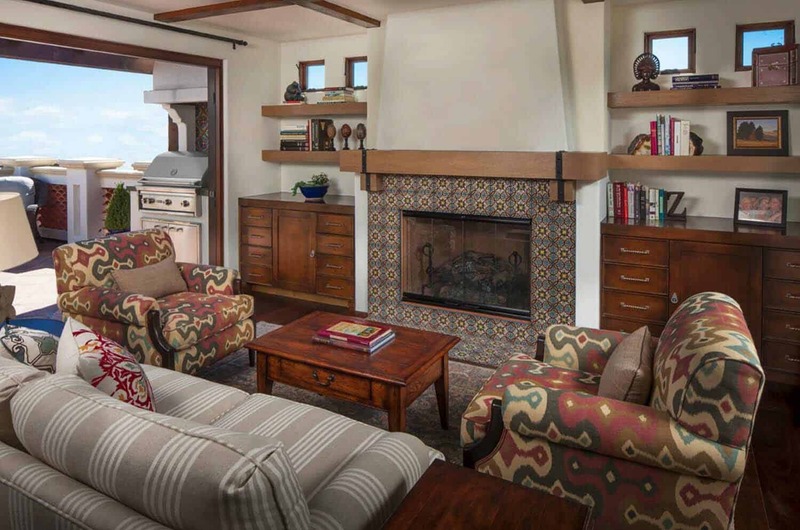 Above: The study features beautiful wood built-ins with a desk in the center of the space. 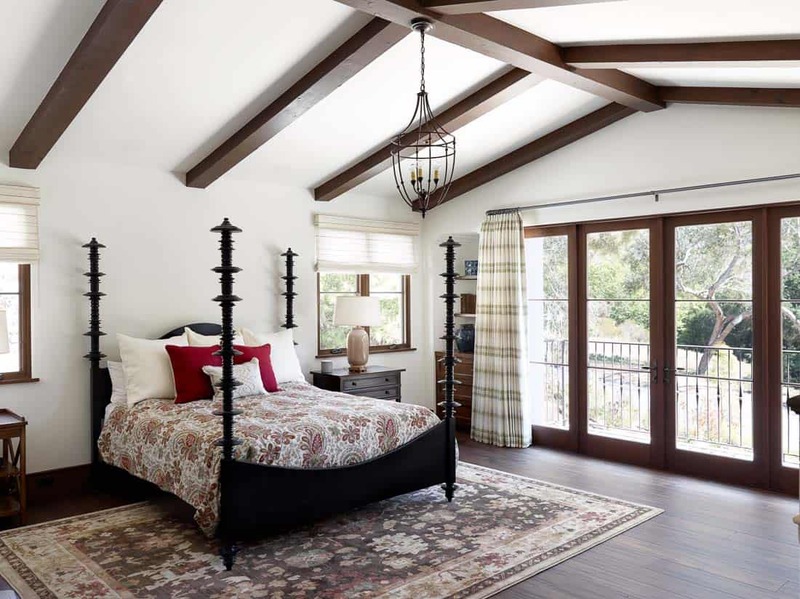 A balcony off the study provides a tranquil space to enjoy the gorgeous views that surrounds this property. 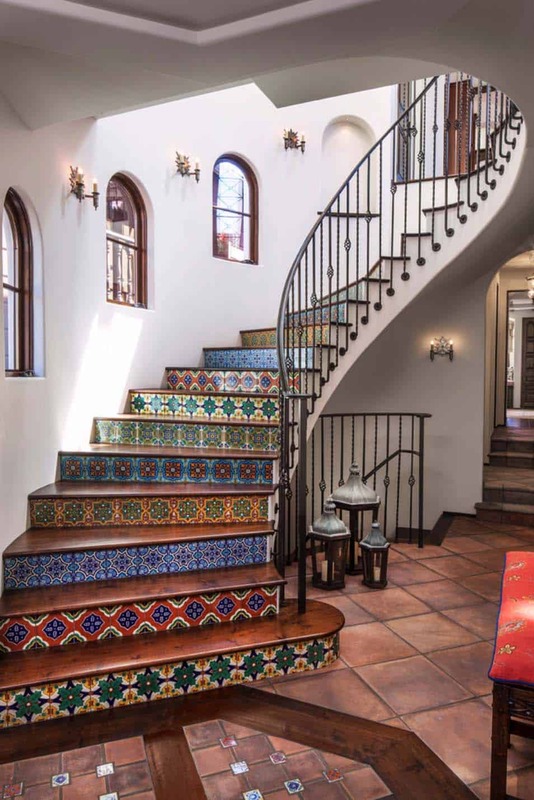 Above: The staircase with the variety of colorful Spanish cement tiles is simply exquisite. 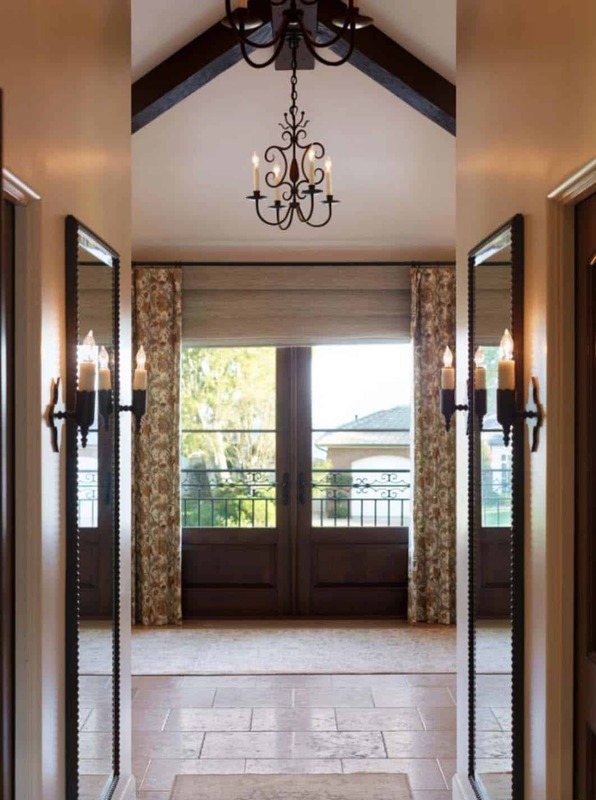 The wall sconces along the staircase wall are the Visual Comfort SR 2000HAB John Rosselli Casual Miguel Double Sconce In Hand-Rubbed Antique Brass, spotted on Foundry Lighting. 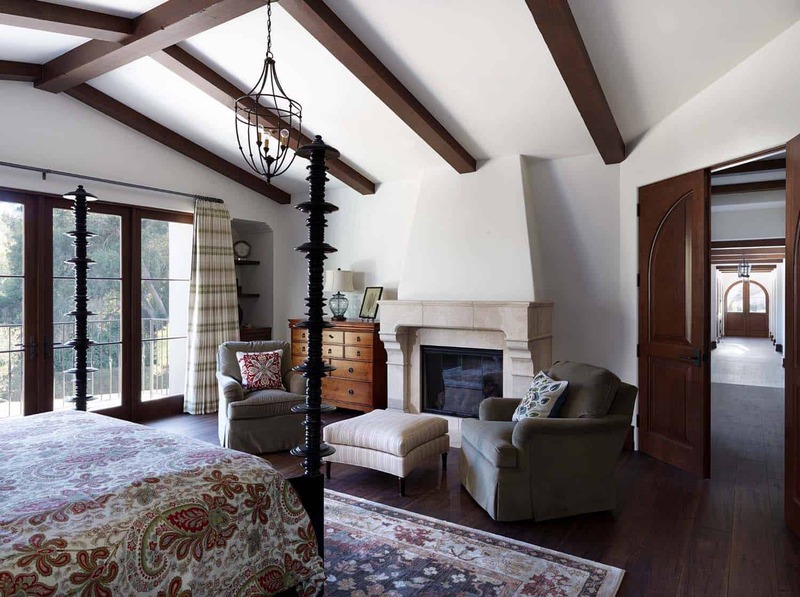 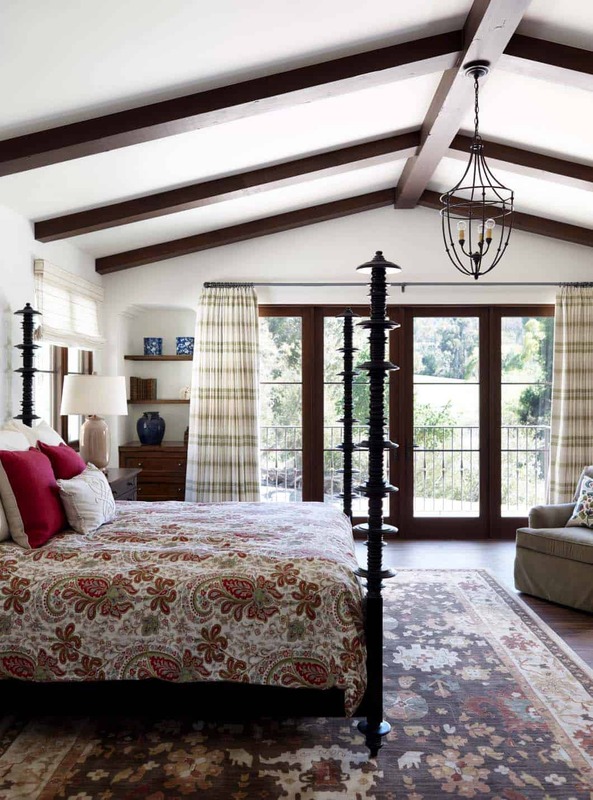 Above: Wood beams on the ceiling of the bedroom adds a warm and cozy feeling to the space. 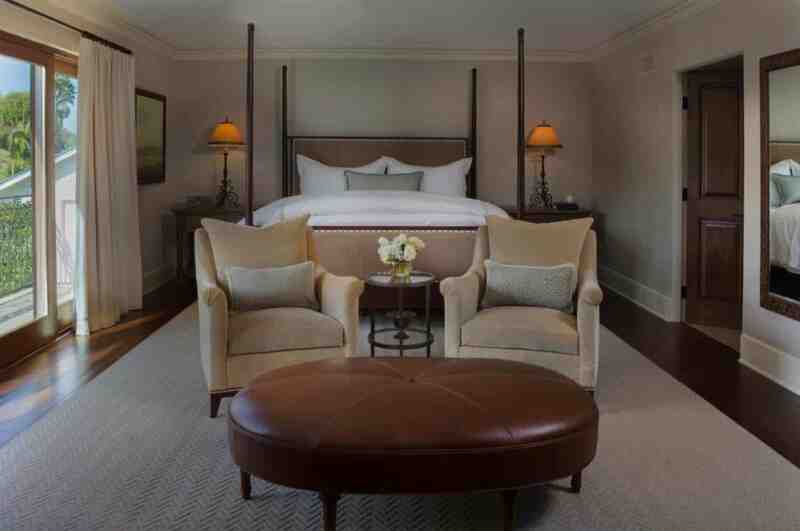 The beautiful bed was sourced from Charlotte and Ivy. 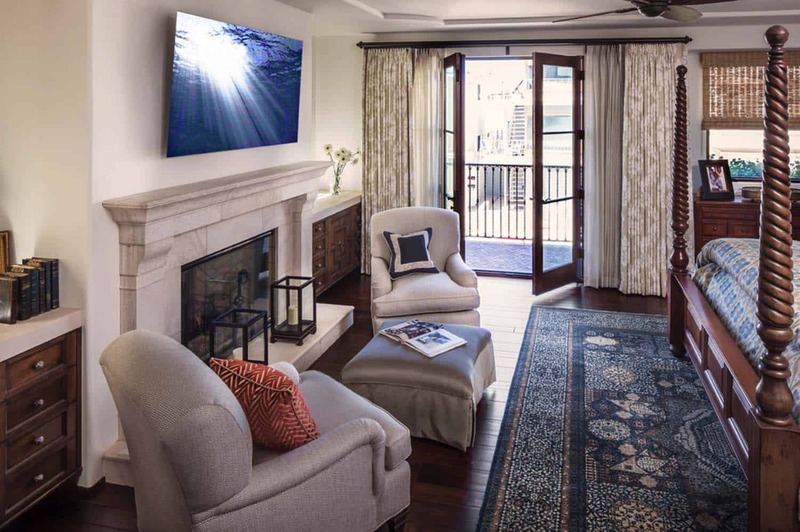 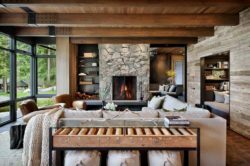 Above: A covered outdoor living area features a fireplace and outdoor television, perfect for entertaining guests. 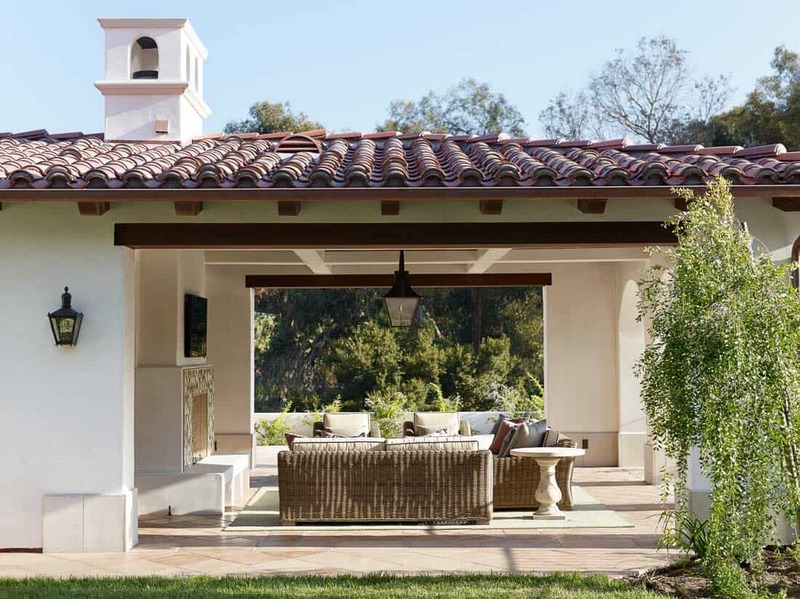 Above: Steps leads down from the covered patio to the expansive swimming pool and spa.